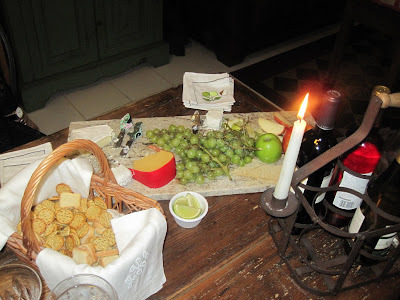 Totally Tikaa: ONZE with the girls - do we know how to plays cards? ONZE with the girls - do we know how to plays cards? Once a month I play cards with four other women, we take turns hosting. If it is your turn to host you serve dinner, dessert, drinks, as well as have prizes for each hand of cards. We take our cards SERIOUS! 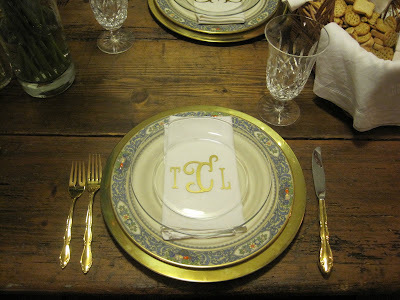 Our place setting for dinner, January's hostess was Cissy and she had these adorable clear salad plates made with each persons initials. Precious, these plates are made by Courtney and if you'd like to reach Courtney email me. Every month is like this and such a treat. We all look forward to it and have been playing cards together for about two years. We play ONZE (french card game, and the best way to explain it is by saying it is a combination of rummy and bridge). Cissy house is warm, fresh and relaxing. 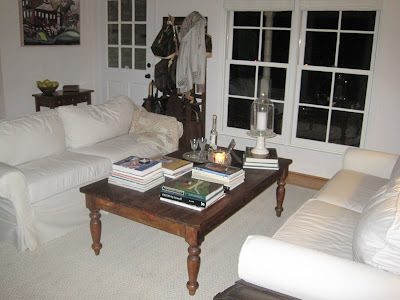 I love how crisp Cissy's house always feels and looks. I always feel at ease when I enter her home. 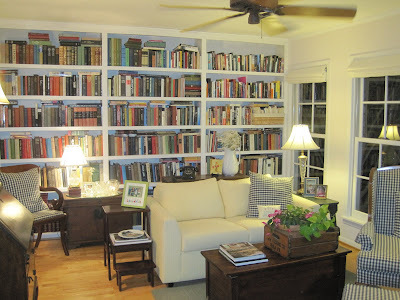 Cissy loves to read (as do I)and she has a great library in her home, and again it's very crisp, clean, and relaxing. I love it. 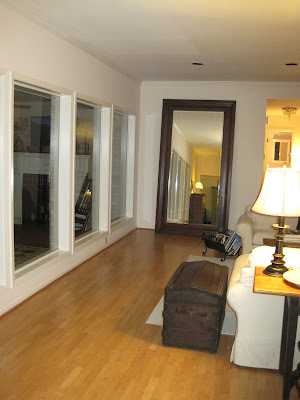 This is another view of her entry, living room. No clutter,all the white, the trunk is simple and understated. The mirror is, well Great! If I could sneak it out of her house without her knowing I would. Probably no chance of that happening. 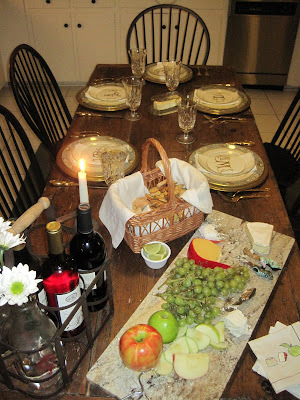 Start your own card group, keep it small, make it special (no paper plates, a nice dinner) and have fun. Tikaa, I get together with some friends once a month or so for a game called Shanghai Rummy. AND this is a tradition card game for us Girl Scout adults when we take our girls camping. We stay up as late as 2am playing. Makes me realize why we have so much fun! !